A while ago, we asked you to take some time to “Learn from Your Shopping Mistakes.” One of them: Don’t buy something just because it’s cheap. Sure, it’s easy to justify a purchase with, “But it’s such a good deal.” But chances are, if you wouldn’t pay full price for it, you shouldn’t buy it at a discount. But with today being Black Friday, aren’t the deep discounts the whole reason we head out at 5 a.m. (or even earlier at some stores)? 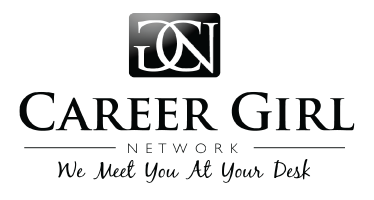 Can we here at Career Girl Network really tell you not to look for deals? No. Have you been watching for this item to go on sale, knowing you’d buy it eventually anyway? Perhaps you need a new vacuum cleaner. No matter what, you are going to need to buy one soon. In this case, Black Friday deals might be great for you. You’re saving money on something you would need to buy no matter what. Don’t upgrade just because you’ll save. Your family has been talking about getting a new 40″ TV, so you scour the Black Friday ads and find one for $400 less than you’d anticipated paying for it. That $400 is NOT FREE MONEY! Saving that $400 is not a reason to upgrade to the 56″ and pay the original anticipated price. Stick with the plan and the size or model you originally wanted and save money. That’s what Black Friday is for. Just because the electronics store sells a 99″ TV doesn’t mean you need one. Take the backwards approach to avoid crowds. If you’re really committed to shopping on Black Friday, but you’re not looking for something like a TV or a computer, consider taking a “backwards” approach. Most crowds are going to the big box stores right away in the morning to get the doorbuster sales. Those people then migrate to the malls and clothing stores later in the day. To get the best experience on Black Friday, head to clothing stores and malls early early in the morning, and the big box stores in the afternoon. You might not get the doorbusters, but most places have good deals throughout the day, and you’ll miss a huge bulk of the crowds. And finally, if you need more expert advice, take it from Suze Orman and her recent article in O magazine, “How to Resist Holiday Overspending.” Her best advice? Challenge yourself not to buy any gift with a credit card. When you’re limited to cash or a debit card (with no overdraft coverage! ), you’re much more likely to purchase only what you can afford.